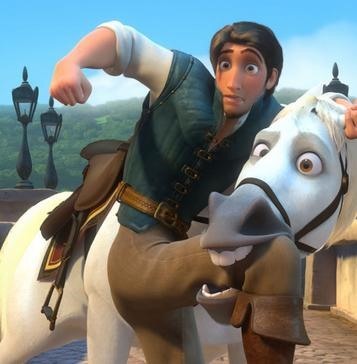 I went to go see Tangled with my boyfriend - a take on the Rapunzel story done by Pixar Studios (it's a cute movie, I recommend it even for adults). And as I was watching, I could have sworn that I knew exactly what patterns the animators used to draw from inspiration. 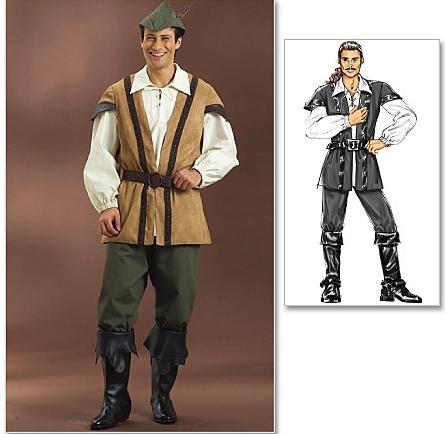 Maybe I'm totally off on this - after all, a fantasy costume is a fantasy costume, but there are several similarities. 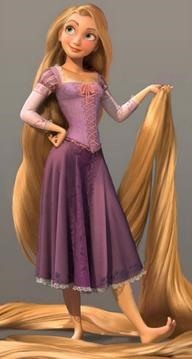 A photo of Rapunzel. You can't quite see in the photo, but her bodice is sewn to an overskirt with an inset underneath. This is a picture of Simplicity 2757, from their Arkivestry line. They gave Rapunzel some nice princess puff sleeves and lightened the tone, but, at least to my eyes, the costumes are very similar. This is Eugene. I picked this shot so you can see the top of his boot easily. And this is Butterick 4574, which I like to call the Robin Hood pattern. From what I can tell, it's also very similar - except they got rid of the vertical trim (which looks silly anyway) and replaced it with buckles. And shortened the sleeves a little bit. What do you guys think? Am I onto something here, or just completely off base?